While mobile devices allow for greater productivity and efficiency, employees must be educated on the potential security risks these devices can pose and how to best keep the devices and the information on them protected. Mobile devices have become extensions of PCs and have many of the same vulnerabilities. Create a Mobile Device Policy: A business’ IT managers should create a single mobile policy for both corporate and employee-owned devices. Use Caution when Clicking: Users should not open unidentified links, chat with unknown people or visit unfamiliar sites. Never Open Files Attached to Unexpected Text Messages from Unfamiliar Senders. Attackers can use text messages to spread malware, phishing scams and other threats. Use Strong Passwords: Use strong passwords to help protect data stored in the phone and prevent data security breaches. Patching endpoints, performing vulnerability assessments, and enforcing corporate compliance are all part of effective endpoint security. Be Certain the OS is Up-to-Date: By keeping software up-to-date the device will be protected from security vulnerabilities that could threaten a company’s information. Install and run anti-virus, anti-spyware and firewall programs. 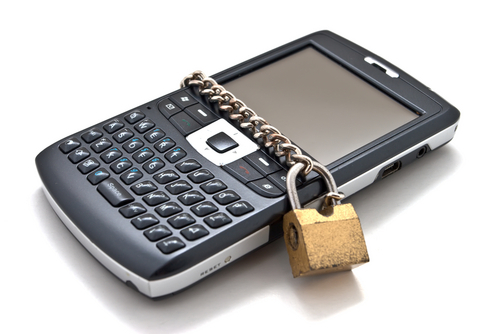 Encrypt the Data: If a device is lost and the SIM card is stolen, the data will not be accessible if the proper technology is installed on the device. Consider setting up a remote wipe, which is “insurance” against theft or loss of the device. Backup Critical Information. All critical information needs to be regularly copied to an alternate location. Do not Share Your Location: By sharing an exact location within GPS enabled apps, provides privacy and security concerns. Avoid Public WiFi: Avoid open (unsecure) WiFi hot spots. Automatically Lock the Phone: Configure the phone to automatically lock after being idle for a few minutes, and then require a password to unlock it. David Eisner is the founder, president and CEO of Dataprise, Inc., a leading information technology managed services provider (MSP) that solves the technology challenges of small and medium-sized businesses. Headquartered in the Washington, D.C. metro area and with offices from the mid-Atlantic to New York, Dataprise helps organizations manage their networks and make best use of their technology investments. Dataprise offers extremely affordable technical support and consulting services, including its Support365TM monthly service plans, 24 x 7 help desk operations and the highest quality customer service. For more information, visit www.dataprise.com.